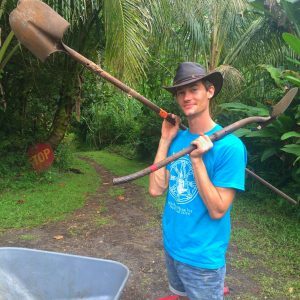 Feminist Men: Being male member of an eco-feminist community! 4. FEMINIST MEN. I am male! Can I still be part of your ecofeminist community? Of course, you can! The Hedonisia Community is first and foremost an eco-tourism community on the ground. We welcome all genders and orientations! So as a male you are welcome to stay here as a Volunteer, Intern or Guest! Many visitors will stay here without any idea of our other community operations and projects. They simply enjoy working on the land or enjoying the pleasures of Hawaii and that’s it! We manage an EcoFeminist Entrepreneur Portfolio of web projects that address issues surrounding gender inequality. Men with skills or experience are welcome to volunteer on these projects. It is ironic that since we started using the word ‘feminist’ or ‘ecofeminist’ to describe our community, we received a reduction in traditional male visitors dropped! This occurred despite the fact that the Founder and Community Director of Hedonisia Hawaii, is a male! We welcome feminist men but many masculine men do not seem as enthusiastic about our feminist foundation. However, that is slowly changing. We are proudly a community with an ecofeminist foundation. Women, who come here are staying in a place where they can feel safe in a community based around a consent culture. With our Jungle Queen program, we attempt to address issues of inequality when it comes to feelings of female empowerment while in the rainforest. Men have been taught to thrive in nature. This is not so with women. « 5. MOVING TO HAWAII. Do you offer services to help me ‘settle in’ as a new Resident of Hawaii?